Delineate Studio was founded by Bart in 2009. 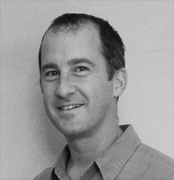 Bart has over 25 years of experience in architecture and urban design. With a master’s degree in architecture, he started his career with higher education, corporate and adaptive re-use projects. He also has hospitality experience, having served as project design lead on a number of projects in the Lake Tahoe area. While practicing in Austin, Bart has been a project architect on some of the first mixed-use projects to be developed in the East Side area of Austin, and has developed a practice focused on urban infill, hospitality, and office. Recently Bart has been working on the first CLT commercial office structure to be built in Texas. Community design involvement includes past experience on the Austin Downtown Commission and the AIA Austin Board, and present membership on the Central Austin Combined Neighborhood Plan Contact Team and the City of Austin Design Commission. Bart received his Masters of Architecture degree from the University of Texas in 1994. Registered Architect TX #17672. Nick joined Delineate Studio in 2014 after spending multiple years working for corporate design firms FOX Architects in Washington DC and Marks, Thomas Architects in Baltimore, MD. His professional experience has focused on commercial architecture and interior design and the implementation of Revit BIM software within the design process. Originally hailing from Maine, Nick received his Masters of Architecture degree from Roger Williams University in 2010. Jeremy joined Delineate Studio in 2014 after working at notable Austin firms Furman + Keil and Lawrence Group. He has brought the firm a vast knowledge of BIM software and project coordination, experience formed while previously working on such projects as the Belo Center for New Media and Peoplefund. Jeremy received his Masters of Architecture and B.S. in Architecture from Texas Tech University, graduating in 2007. Renica spent a semester interning with Delineate Studio as part of the University of Texas School of Architecture Professional Residency Program before graduating this 2018 with her Bachelor of Architecture and Business Foundations Certificate. Upon graduation, she joined the team full-time, providing a knowledge of technical skills, modeling software, and digital fabrication as well as experience from various design internships, UT’s study abroad program through Europe and design competitions involving multifamily projects and civic buildings. TBDS projects are a joint venture with our friends at Thoughtbarn.